The thermal energy in the ocean is the prime thermodynamic driver for hurricanes. 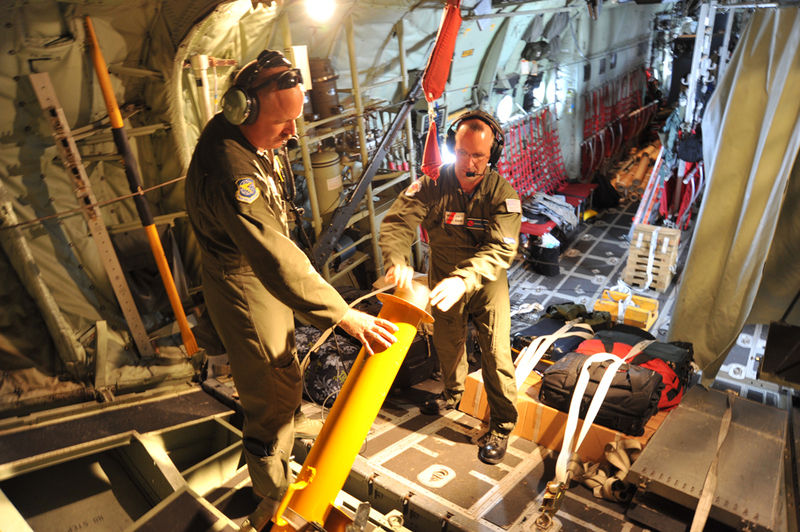 The current version of air-deployable floats requires that the rear cargo door of the plane be opened, as was done in the ONR-sponsored C-BLAST and ITOP program. The Air-Launched Autonomous Micro Observer (ALAMO) is a smaller profiling float that can be deployed through the chute installed in the back of a plane. These floats are a smaller Argo-style float that will fit in the AXBT launcher. They are capable of 100 – 150 profiles to 1000m. They communicate via satellite.